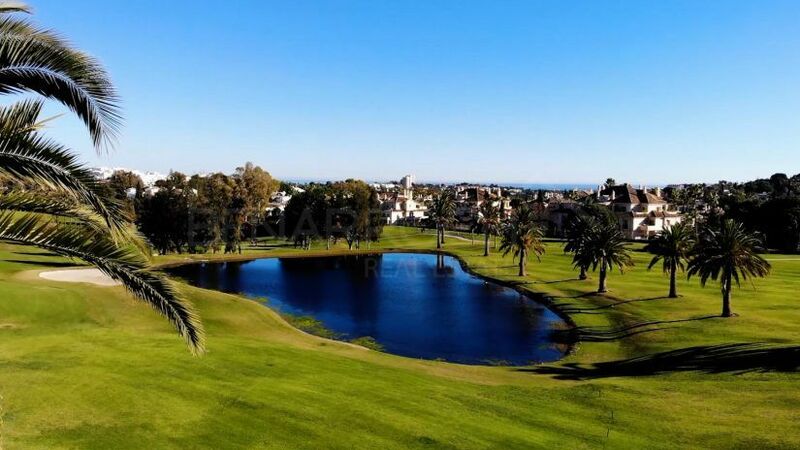 Located very close to the many golf courses in this area, we find La Cerquilla, luxury villas in Nueva Andalucía, a special place for its characteristics and location, just minutes from Puerto Banus. This is an elegant urbanisation with magnificent villas and luxury apartment residences, all in a location that allows you to enjoy exceptional views as well as tranquillity and security. A short distance away, we can access the town of Nueva Andalucia, equipped with all kinds of services that meet the needs of its residents. The urban structure of La Cerquilla is characterized by its quiet and very well-kept streets, offering an elegant, select and exclusive appearance. 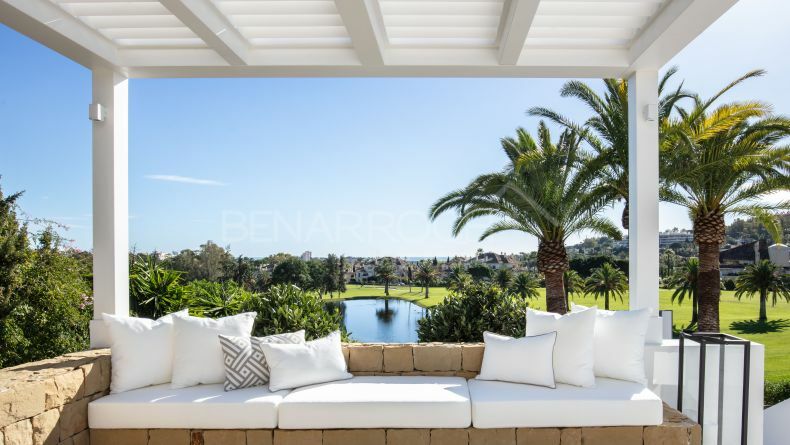 Its location, to the north of the Las Brisas golf course, provides magnificent views of the Golf Valley in Nueva Andalucía and access to clubs such as Aloha Golf, Los Naranjos Golf and Real Club de Golf Las Brisas. 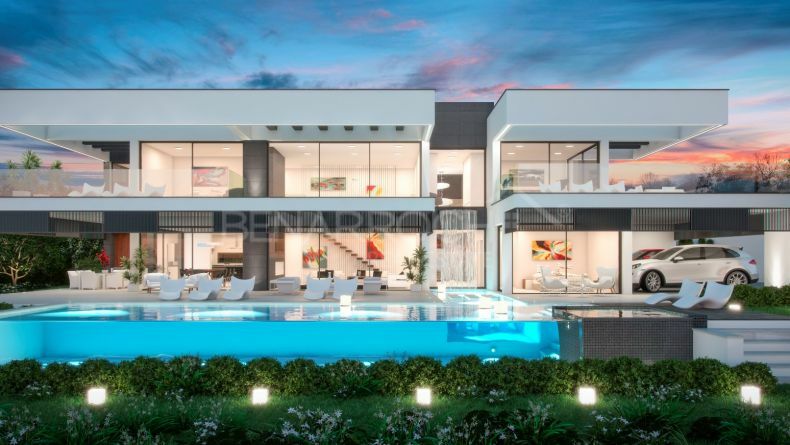 In La Cerquilla, Nueva Andalucía, we find a constructive typology of villas developed on medium-sized plots in general, with a predominant modern design, combining with some of a more classic style, without breaking the physiognomy of the environment and all of them with a high quality in materials as well as in finishes and design. In La Cerquilla, Nueva Andalucía, there are also luxurious residential apartments distributed in low-rise buildings with exceptional interior qualities and very well-cared for garden areas. Such is the case of Les Belvederes and Palacete Los Belvederes, two gated communities with 24-hour security, made up of luxurious apartments in residential areas with wonderful tropical gardens, waterfalls, swimming pools, gymnasium and sauna. Another residential complex in La Cerquilla, Nueva Andalucía, is Alminar de Marbella, a complex with spacious 2 and 3 bedroom homes, large terraces and private gardens, designed in Mediterranean style with top quality materials and equipped with safe, air conditioning, solar panels and fully equipped and furnished kitchen. Los Arrayanes is the third luxury apartment residential located in La Cerquilla, with a contemporary design, south facing and consists of 39 apartments and penthouses of 2 and 3 bedrooms with extraordinary qualities, spacious covered and open terraces with wonderful panoramic views of golf, the sea and the mountains, very bright, in a complex with two swimming pools, minimalist gardens and solarium area. The Benarroch Real Estate team invites you to visit us in our office in El Pilar Shopping Centre, on the New Golden Mile of Estepona and thus be able to inform you in depth about the properties available in La Cerquilla, Nueva Andalucía an urbanization of which we can boast a wide knowledge. 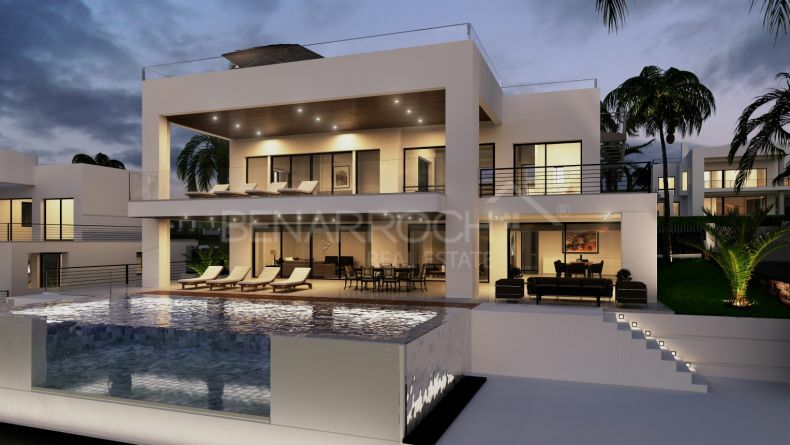 Villa in closed complex in La Cerquilla, in a golf environment and luxury properties.